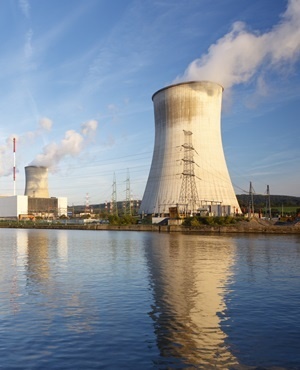 Following a landmark judgement in the Cape Town High Court on 26 April 2017 that stopped the procurement of 9.6GW of new nuclear power reactors by Eskom and Necsa in its tracks, nuclear sector governance in South Africa is heading for the courts again. July 9, 2018: NTP MD Tina Eboka and executives reinstated following the conclusion of an inquiry into the breach of safety regulations at the NTP medical nuclear radioisotope production facility. July 19, 2018: Letter from energy minister Jeff Radebe informing the Necsa board that the NTP board will henceforth report directly to the DoE through the deputy minister of energy, and not to the Necsa board. October 31, 2018: Letter from the Necsa board to the NTP board informing them that Necsa CEO Phumzile Tshelane has been appointed to the board of directors of NTP. November 1, 2018: Letter from the chairman of the NTP board to the chairman of the Necsa board, advising that ratification by the deputy minister of energy will be sought for the appointment of Necsa CEO Phumzile Tshelane to the NTP board. November 1, 2018: Letter from ENS Africa to the chief legal advisor of Necsa giving the opinion that authority to "hire and fire" the CFO (who is not a board member) rests with the CEO, but that such authority must be exercised subject to directions (if any) issued by the Necsa board. November 5, 2018: Letter from the Necsa board to the NTP board informing them that Enoch Godongwana has been appointed non-executive director and deputy chairman of the NTP board. November 8, 2018: Letter from the chairman of the NTP board to the chairman of the Necsa board, advising that ratification of the deputy minister of energy will be sought for the appointment of Enoch Godongwana to the NTP board. November 13, 2018: Letter from the chief legal advisor of Necsa to the NTP board advising them that the instruction by the minister of energy for the NTP board to report directly to the DoE through the deputy minister of energy is unlawful and amounts to the DoE usurping the powers, rights and obligations of the Necsa board. November 16, 2018: Letter from the chief legal advisor of Necsa to the NTP board advising them of alleged violations by the DoE and the minister of energy of the Nuclear Energy Act, the Companies Act, and the Necsa and NTP memoranda of incorporation. November 22, 2018: Letter from the minister of energy to Necsa CEO Phumzile Tshelane, placing him on precautionary suspension, and to the Necsa board, chairman and CEO requiring them to give reasons why they should not be removed from office. The minister gives Necsa board five calendar days.